There are two stories entangled with the word, “Christmas.” There’s the story of the white bearded man who comes with gifts and eats the cookies we leave out for him. The other celebration is the birth of a baby. 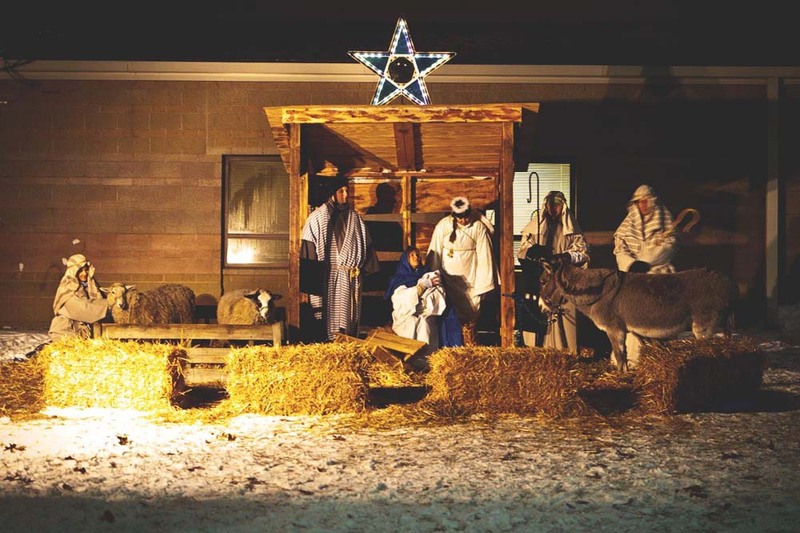 The annual event of The Living Nativity here in Lafayette, IN really makes the story of Jesus’ birth come alive! This event is free! Thanks to the host, Faith Church. You can drive through it or walk through it. Both are narrated by an audio telling of the birth of Jesus. It’s live so that means people the people participating in the scenes are acting out their roles. This is a cast of over 100 people according to the Faith Church Website. There are even a few living animals! This event has 14 scenes. They begin at the Creation of the World and end with the telling of the second coming of Jesus. December 7 – 9 @ 6:30 – 8:30 P.M.
December 14 – 16 @ 6:30 – 8:30 P.M.